May buy 1 for yourself and 1 as a gift. May use 1 per household per visit. Tile floors only. Valid for up to 150 sq. ft. Missing or cracking grout cleaned at your own risk. 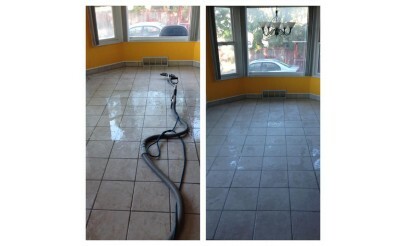 Tile and grout sealing available. Valid from Weber and Utah County. Only valid for option purchased. Appointment required and subject to availability. Merchant cancellation policy of 24 hours applies or voucher may be forfeit. Expires 6 months after purchase. See the terms that apply to all deals.